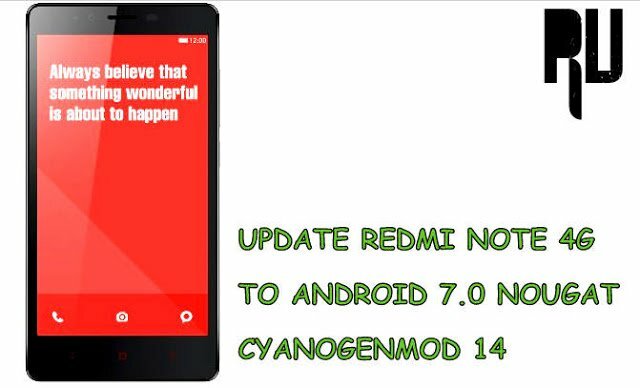 CM14 Update Redmi Note 4G to Android 7.0 Nougat N Cyanogenmod 14 . How to Update Xiaomi redmi note 4G to Android 7.0 Nougat Cm14 rom . 1 How to Update Xiaomi redmi note 4G to Android 7.0 Nougat Cm14 rom . 1.1 Download CM14 Nougat 7.0 Update for Redmi note 4G . 1.1.1 Update redmi note 4G to Nougat 7.0 N .
Do you want to update redmi note 4g to Nougat 7.0 N ? 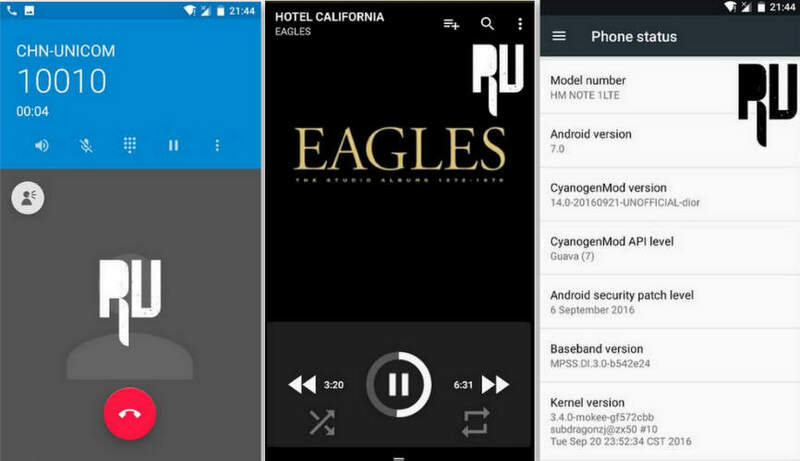 and want to download Cm14 for redmi note 4G ? If yes then you are at right place . 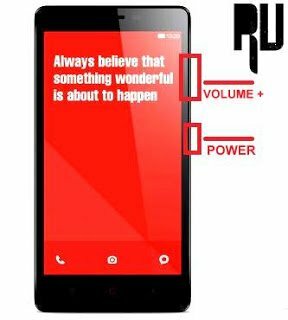 Today we are here with the Guide on How to Update Xiaomi redmi note 4G to Android Nougat by installing Cm14 custom rom for Redmi note 4G . Xiaomi redmi note 4g was released in 2014 , initially this smartphone was the other ( Snapdragon ) Variant of the redmi note 3g which came with a Mediatek processor . The smartphone currently runs on android Kitkat based miui 8 . Being a old and average hardware device there is no hope that Xiaomi will roll out official Android 7.0 nougat update for redmi note 4G . However still we can use a Nougat 7.0 custom rom for Redmi note 4g . Android 7.0 nougat is the latest android version that comes with Multi window support, battery tweaks and much more . So today we will tell you How to install Cm14 nougat in Redmi note 4G . Download CM14 Nougat 7.0 Update for Redmi note 4G . Android N 7.0 based . Cyanogenmod 14 custom rom . Battery tweaks that give upto 20% more backup time . You can set custom font . Next camera with filters and Manual mode . How to update Xiaomi redmi note 3 to Android 7.0 Nougat . How to Update Redmi 1s to android Nougat 7.0 . How to Update Xiaomi mi 4 to Android 7.0 Nougat. Make sure you follow all the points given below before installing Cm14 in redmi note 4G . This custom rom is only for Xiaomi redmi note 4G Snapdragon variant , Dont flash it it Redmi note 3G mediatek variant . Make sure there is more then 4Gb of free space available in internal memory . This is a Beta custom rom and it may contain some bugs , Make sure you always flash the Latest build of the custom rom . To flash the custom rom you need TWRP or CWM recovery installed on your Device . There should be more then 50% battery in your device to flash the custom rom . Update redmi note 4G to Nougat 7.0 N .
First of all Download Cyanogenmod 14 for redmi note 4G . Download the Cm14 rom in Your computer or laptop . Now connect your redmi note 4G to pc using a Usb cable . After connecting copy the Rom and paste in the Root of Sd card or internal memory ( Sd card is prefered ) . Now you have to rename the CM14.zip to Update.zip . Before flashing the rom make sure you have made a backup of all important files and contacts . Now pull out the battery for 1 minute . First of All tap on backup , Now make backup of the current installed rom . This will help incase the rom installation doesn’t complete successfully . Choose Wipe Data/Factory reset . Now the recovery will start flashing cm14 in redmi note 4g . After the flashing process completes you will get a Notification ” CM14 for redmi note 4g installed Successfully ” . Thats all !!!! You have successfully updated your redmi note 4g to android 7.0 Nougat by using cyanogenmod 14 rom . So this was our guide on How to Update redmi note 4g to android 7.0 Nougat , I hope you liked Cyanogenmod 14 rom for Xiaomi redmi note 4G . Is camera got fixed ? And Jio calling is not available ,is that too got fixed ?